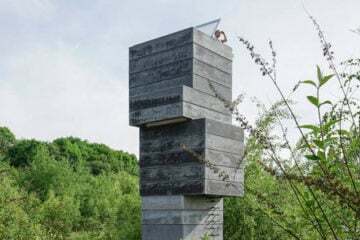 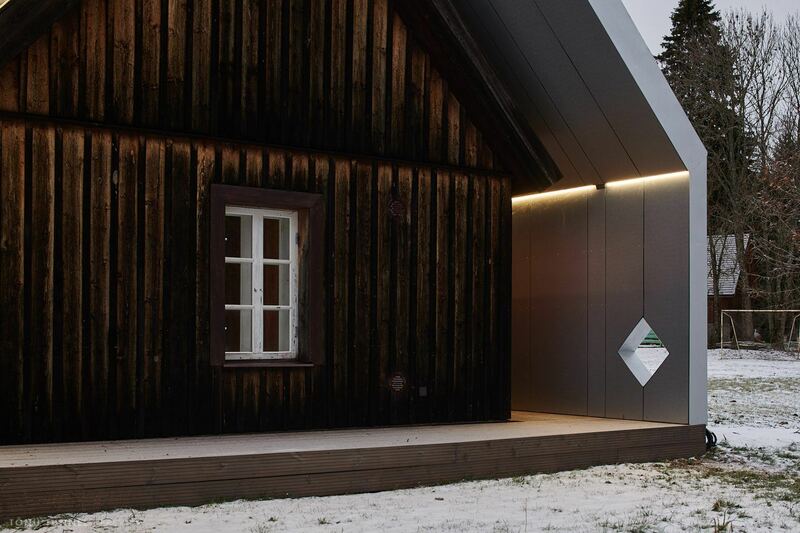 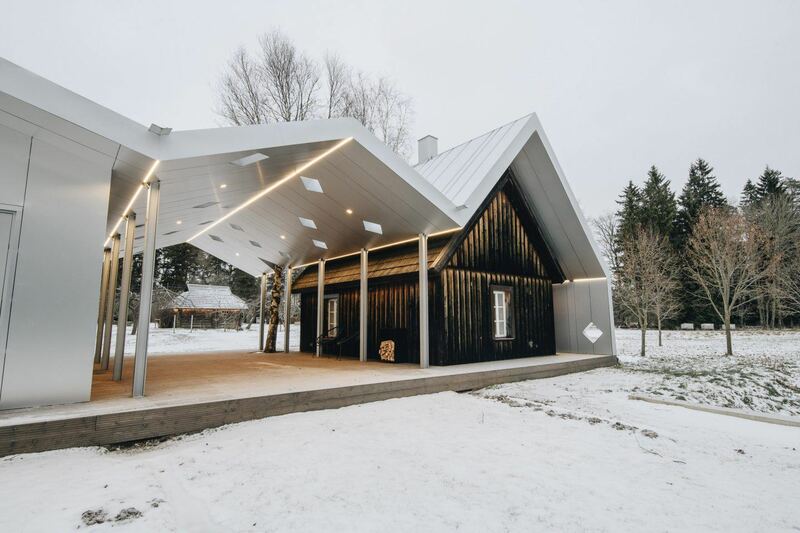 Estonian architects Peeter Pere and Eva Kedelauk have completed the update of a charismatic sauna complex in the Estonian woodlands, featuring two saunas; one modern and one traditional, that are covered by a zig-zagging aluminium roof. 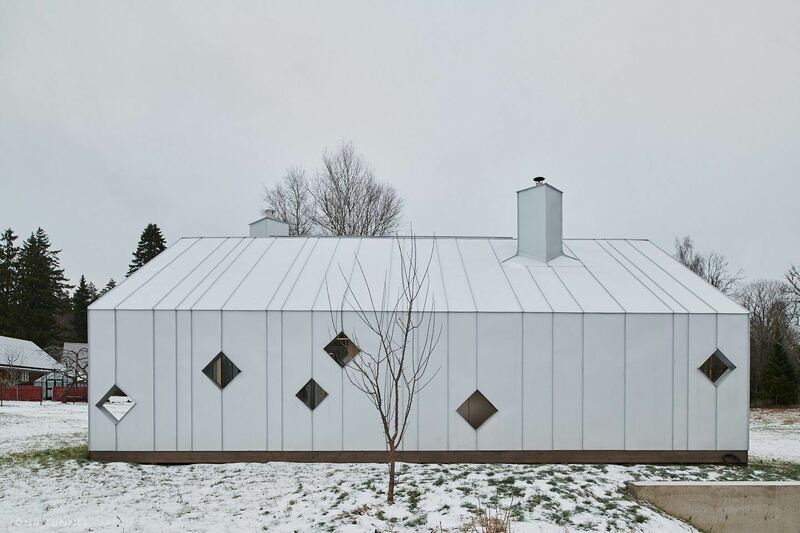 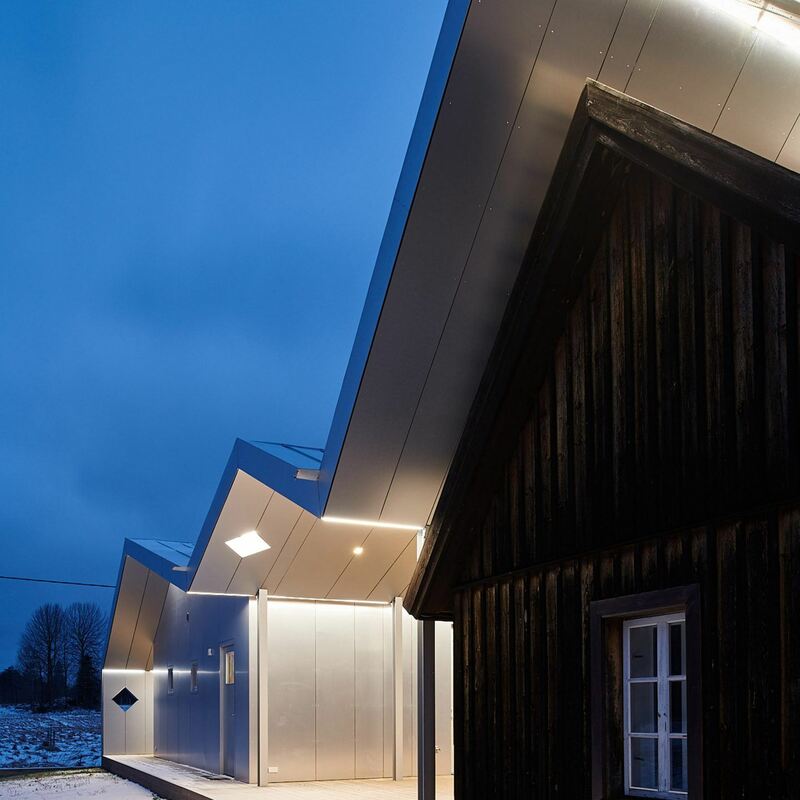 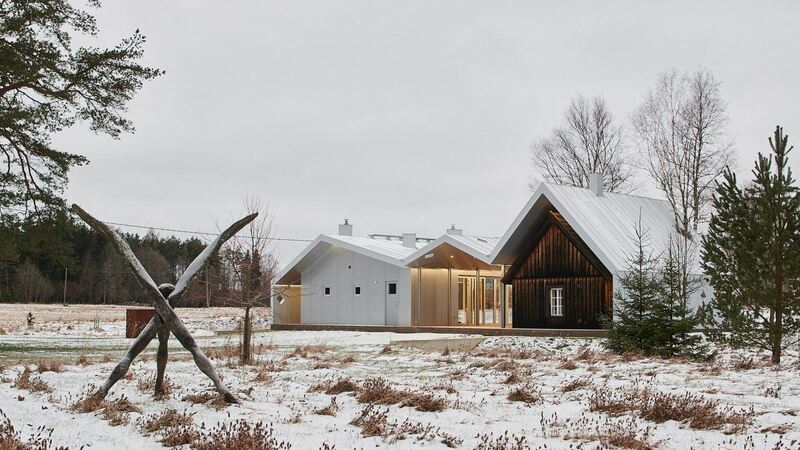 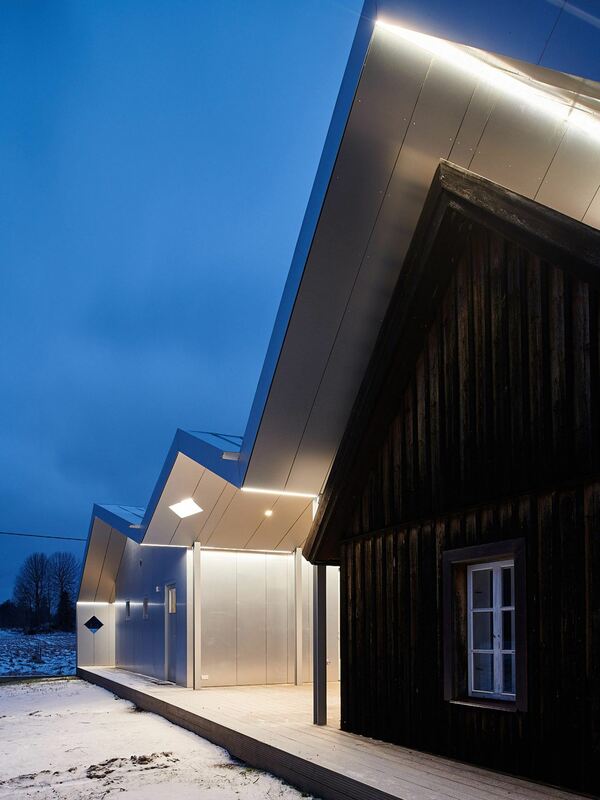 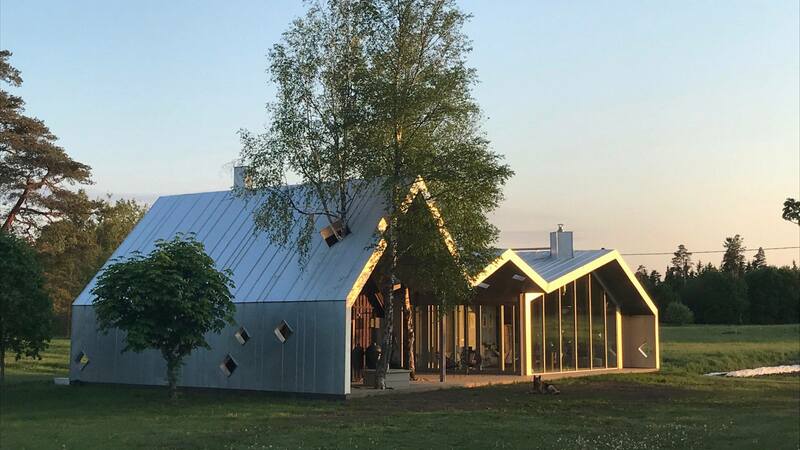 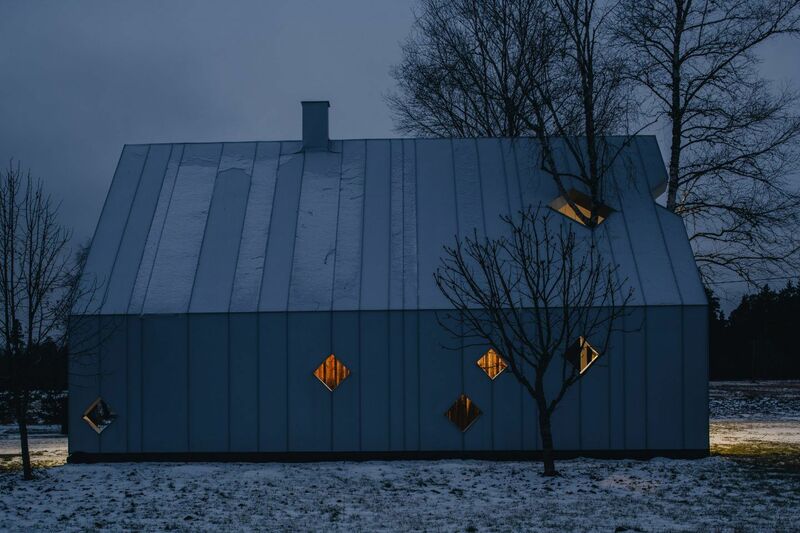 Located in Varbola, a village in western Estonia approximately 30 minutes from Tallinn, the complex includes two contrasting buildings that are married together with an angular roof. 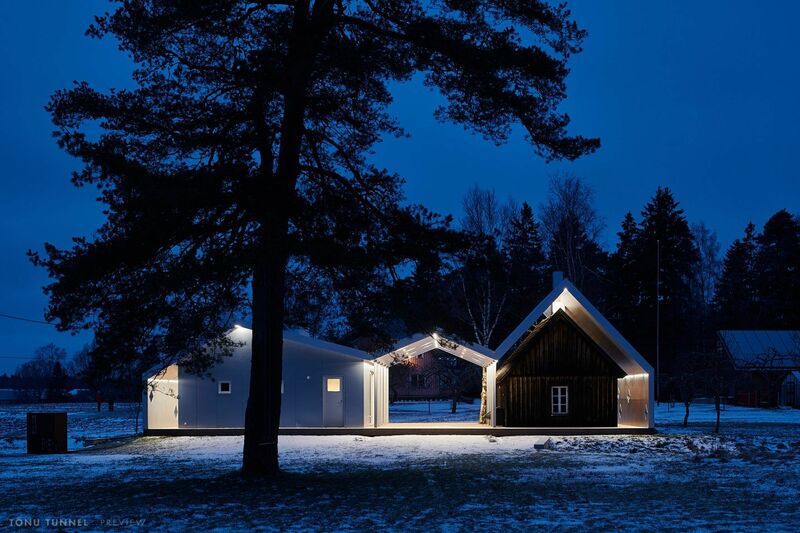 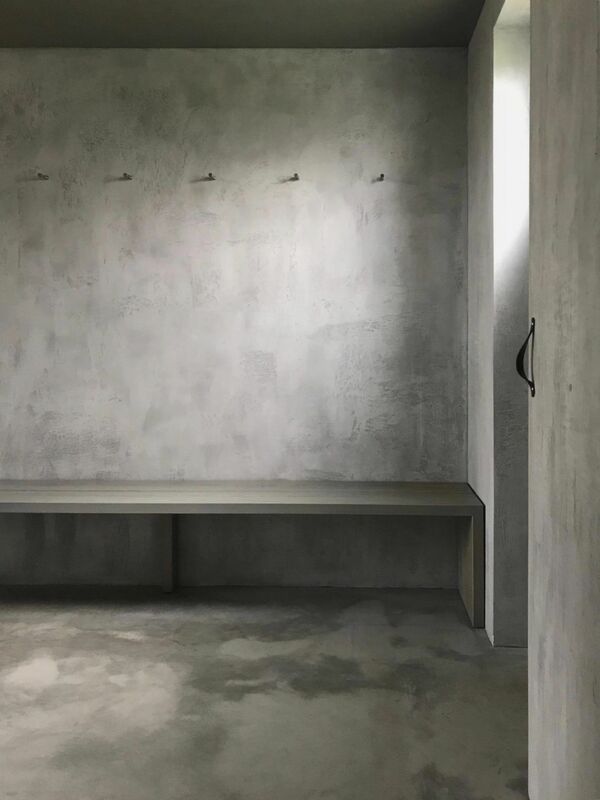 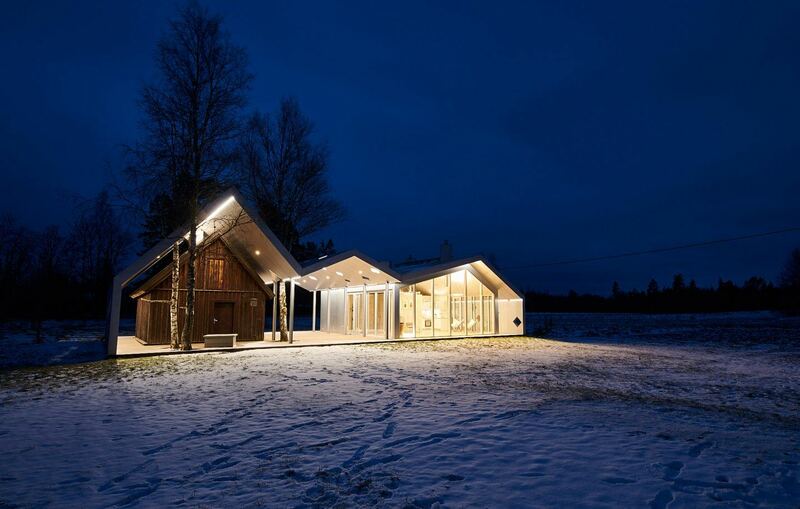 The architects were tasked with updating the sauna facility, which sits on a farm property surrounded by woodlands. 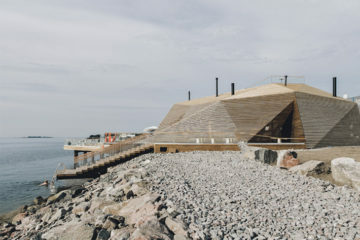 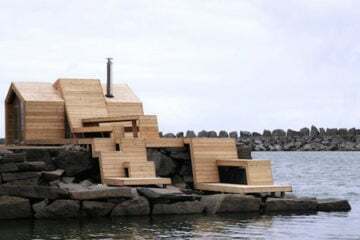 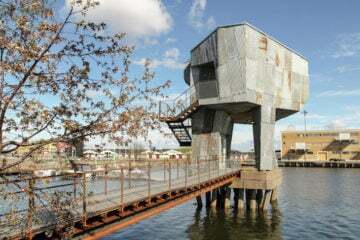 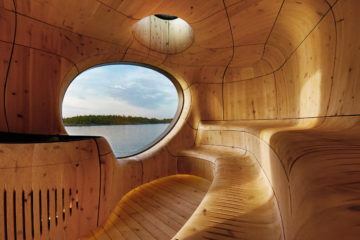 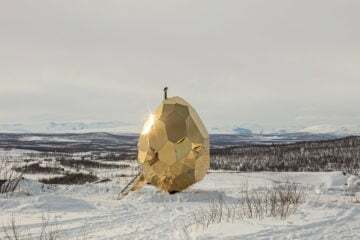 Yet, rather than demolishing the traditional wooden sauna, Pere and Kedelauk decided to preserve it, and gift it a new metal and glass counterpart. 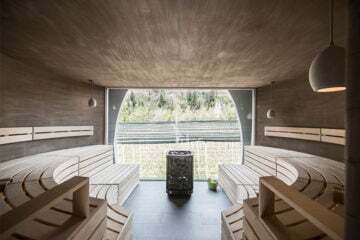 The original dark-wood sauna retains its rustic aesthetic, whilst the modern, glass building has much more natural light and views of the scenic landscape outside.